First Row: Nicholas Webby, Christian Burzycki, Sean Rafferty, Bobby Ohlson, Owen Nally and Jacob Armstrong. 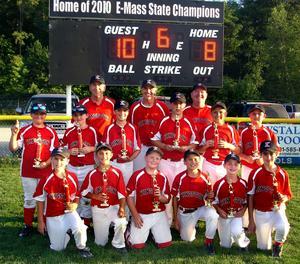 Second Row: William Cauchon, Anthony DeChiara, Cole Whidden, Josh Cogburn, Matthew Bettle and Alex Heffernan. Dan Cole, Adam Crawford, Jack Ruprecht, Nick Graziano, Anthony Videtto,BB-Steve Gallagher, Jimmy Mooney and Patrick Rafferty. 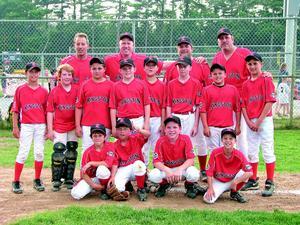 The team is coached by George Graziano, Jim Melanson, Tony Videtto and Bill Gallagher. 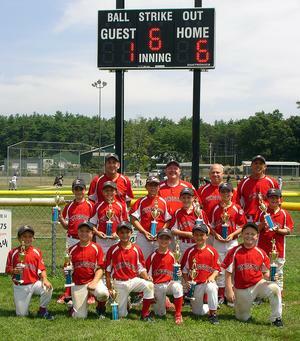 Front: Bobby Ohlson, Alex Heffernan Christian Burzycki, Owen Nally, Nicholas Webby and Sean Rafferty. Middle: Jacob Armstrong, Matthew Bettle, Josh Cogburn, Anthony DeChiara, Cole Whidden and William Cauchon. Back: Assistant Coach Brian Whidden, Assistant Coach Joe Rafferty, Team Analyst Michael DeChiara and Head Coach Steve Webby. 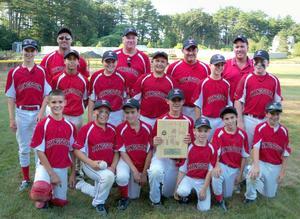 Bottom row: Tanner Bouchard, Dominic Romano, Adam Gay and Liam Smith. Middle row: Nathan Youssef, left, Luke Rafferty, Tyler Ruxton, Harry Cornell, Zach Pakalnis, Pat Donovan, Ryan Ennis and Brendan Nemes. Top row: scorer Steve Ruxton, left, manager Mike Pakalnis, coach Mike Romano and coach Tom Bouchard.